We offer a complete one-stop-shop for all your after storm damage and hail damage needs. 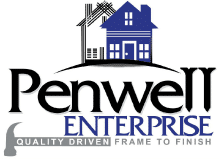 From removing down trees to repairing broken windows, damaged siding, hail damaged roofing and more, the storm experts of Penwell Enterprise will have your home as good as new in no time. Dealing with the aftermath of a storm and the damage it caused can be stressful and overwhelming. Make it simple by working with someone you can trust. Serving the Eastern Panhandle of West Virginia. Berkeley, Jefferson, and Morgan County.